"Dragonfly Fantasy" ST-1207, large size. 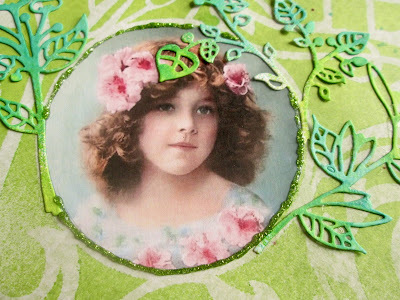 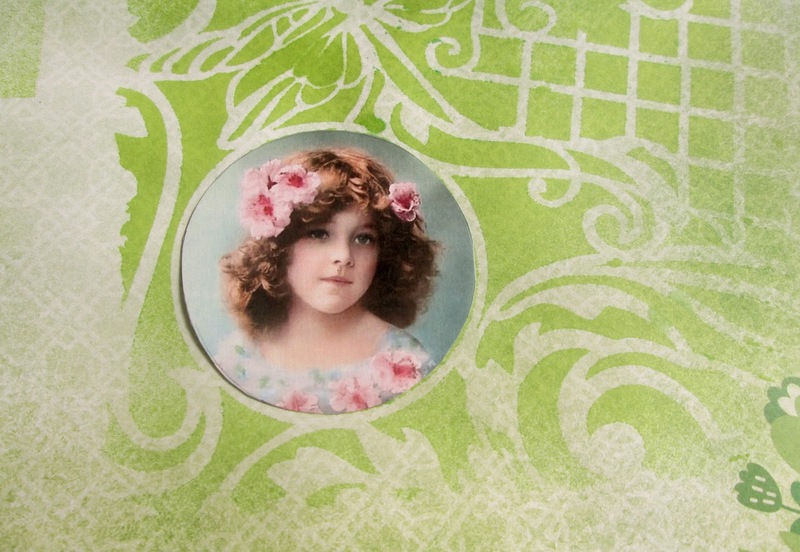 Choose a vintage picture on Pinterest and cut it into circle. 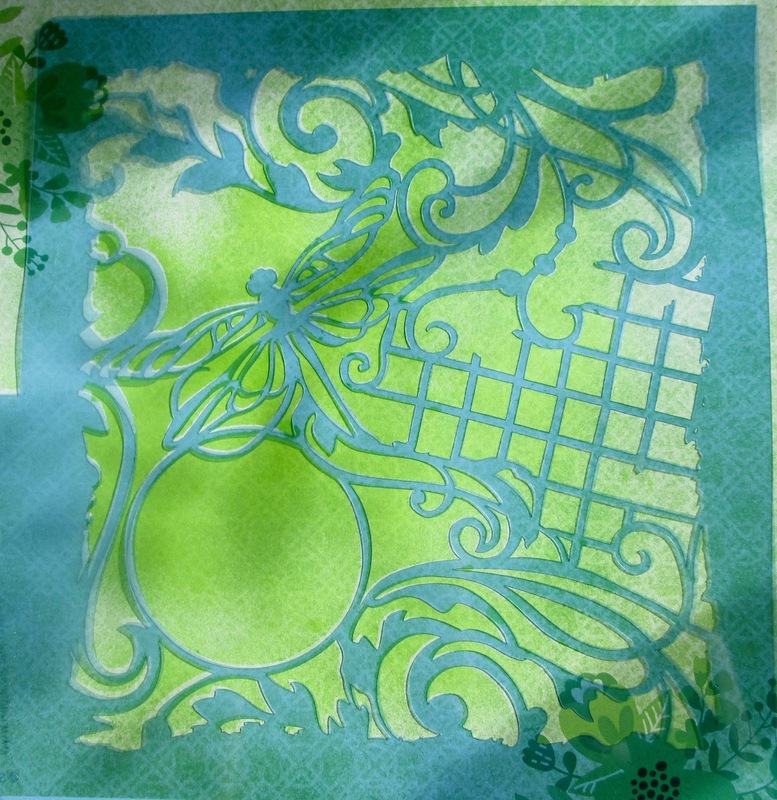 Stick it in the stencil circle. 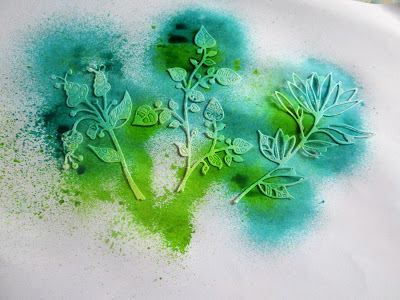 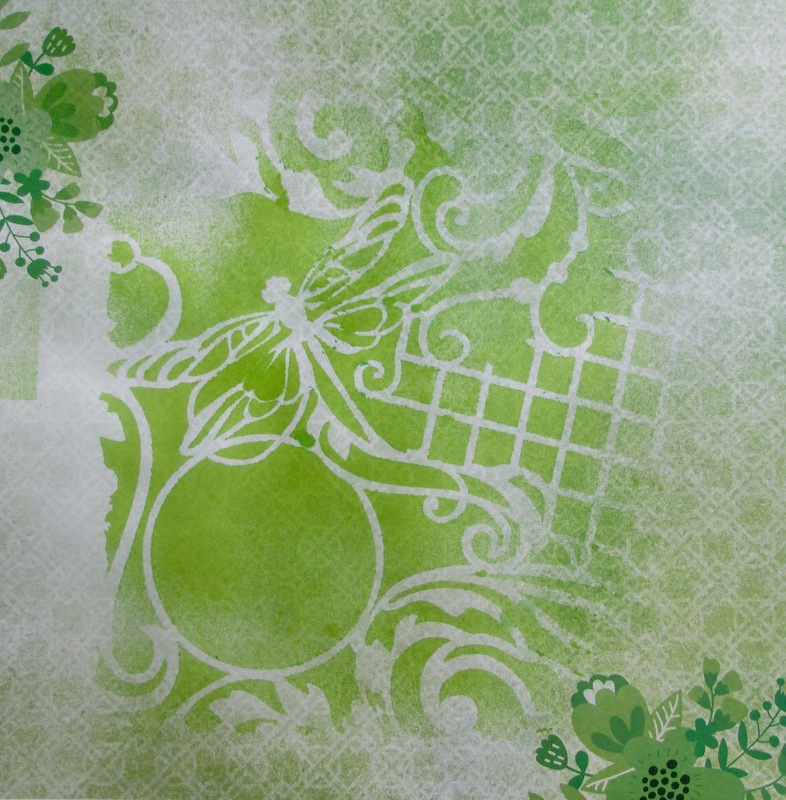 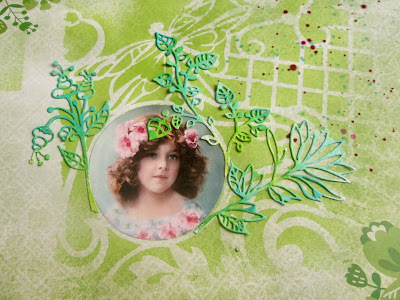 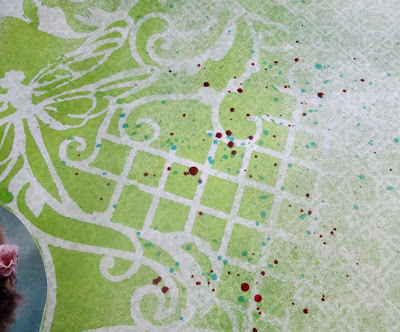 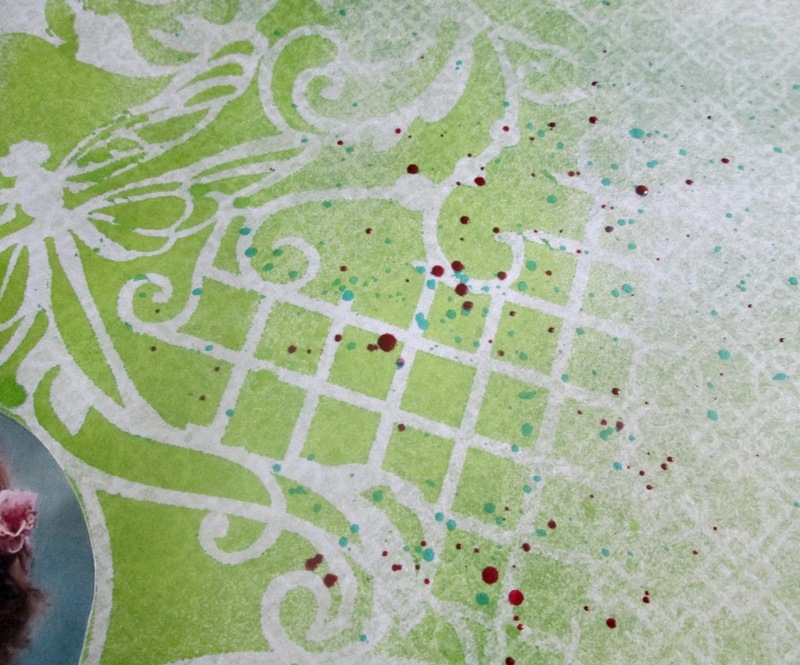 Take some flowers dies cut and spray some green and blue emerald inks on them. 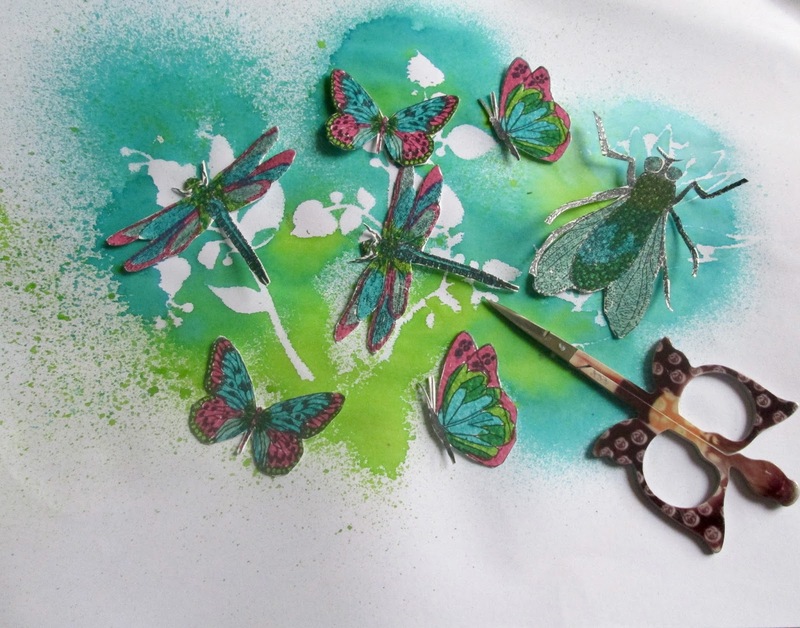 Stamp some butterflies, dragonfly and others insects, then color and cut them. 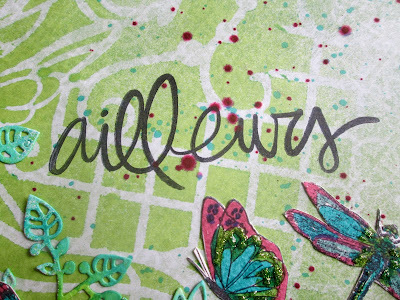 Splash a few drops of pink and blue inks, and stick the dies cut around the picture. Add some green glitter paste around the picture and stick your insects. 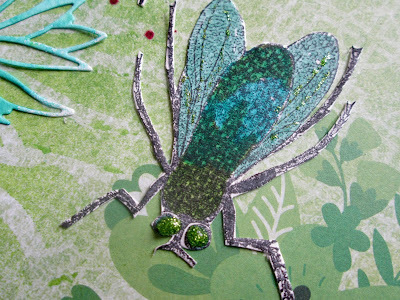 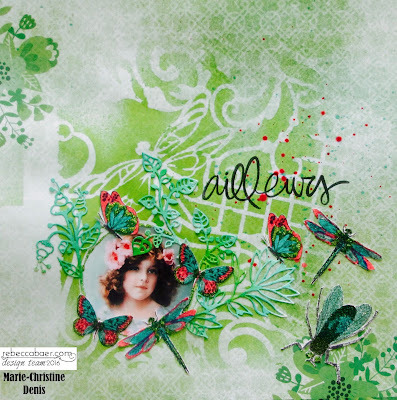 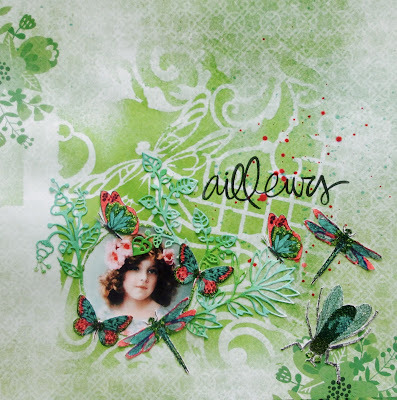 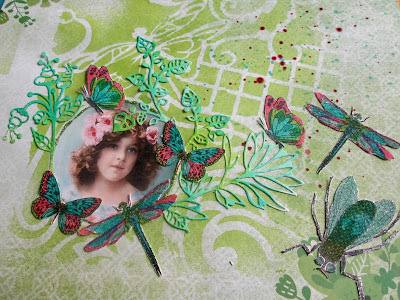 Stamp the tittle and add some green glitter paste on the insects.